I’m bursting with excitement over this incredible dessert. True, this galette is–at heart– simply a blueberry pie. Now a good blueberry pie is exciting on its own, but what makes me so happy about this one is the fact that it’s absolutely gorgeous and anyone can make it. It really is that easy. My intent was to steer away from another dessert recipe– I’m working on mixing up weekly themes for those of you that haven’t caught the baking bug that I can’t seem to shake. But Fathers’ Day rolled around and I wanted to make something sweet for my husband, so the savory post will have to wait until later. 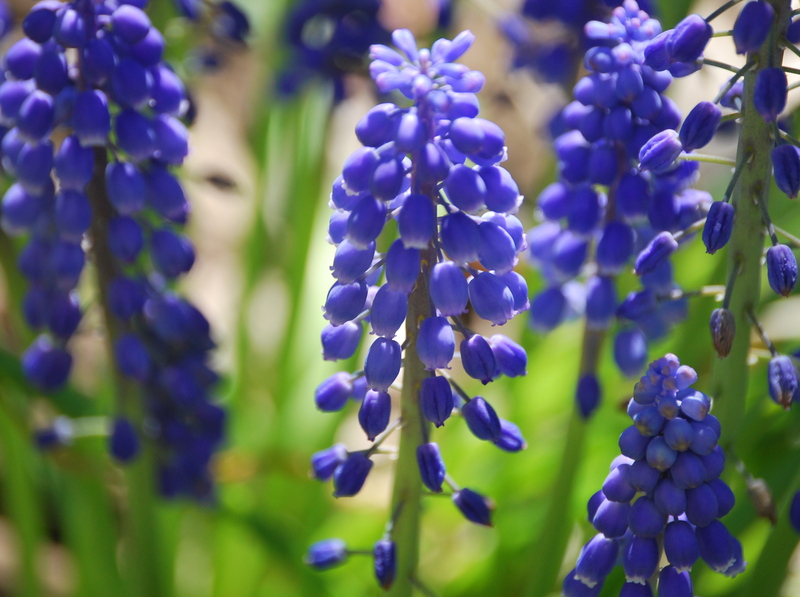 Today it’s blueberries! I’ve made this galette many times, but I always forget how brilliant it is. 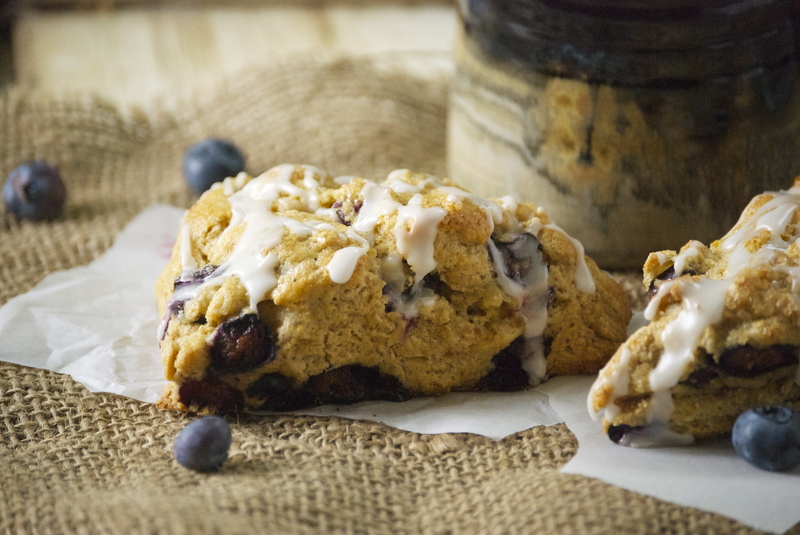 Blueberries are one of my favorite fruits for baking (sour cherries too!). 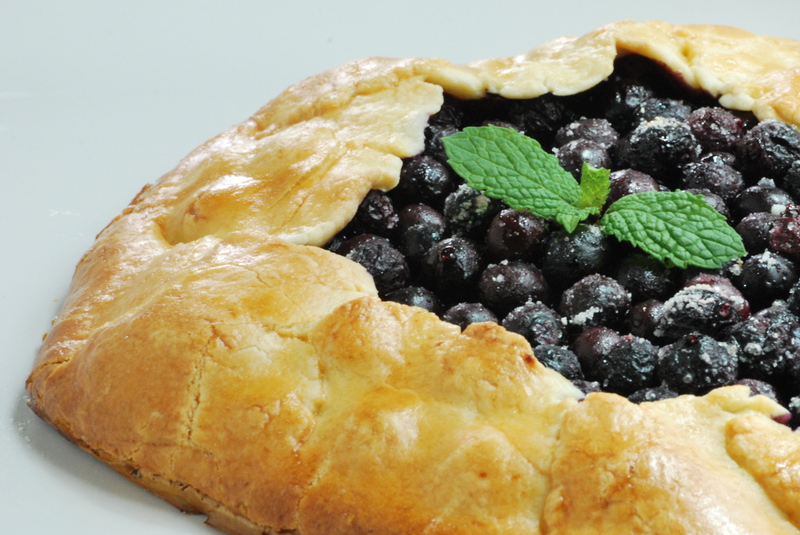 Blueberries taste like summer, and this galette really showcases that. 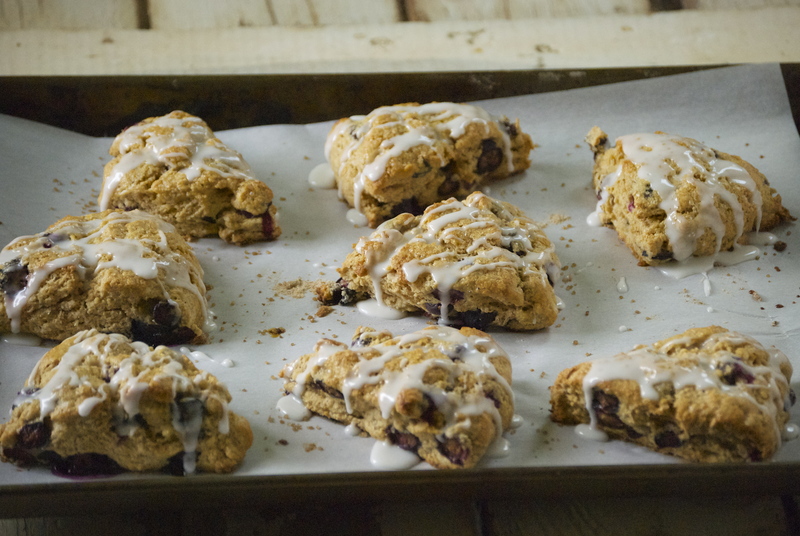 I love peeking in the oven to see the blueberries and sugar melding into a juicy, bubbly filling. And the smell of the buttery pastry crust is pure bliss. For this recipe I chose a sweet tart dough– what the French call a pâte sablée. It’s buttery and crumbly, almost like a shortbread. 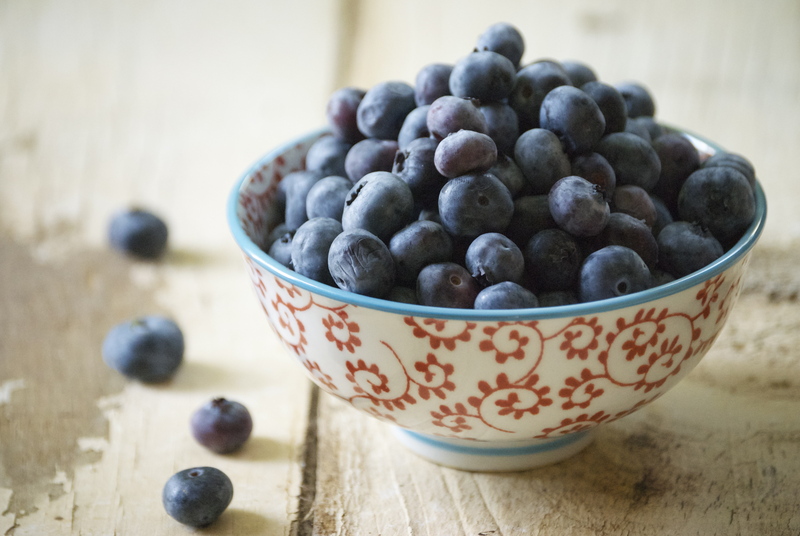 It works beautifully with fruit and is simple with the help of a food processor. As a bonus, you can make a few dough balls ahead of time and freeze them. 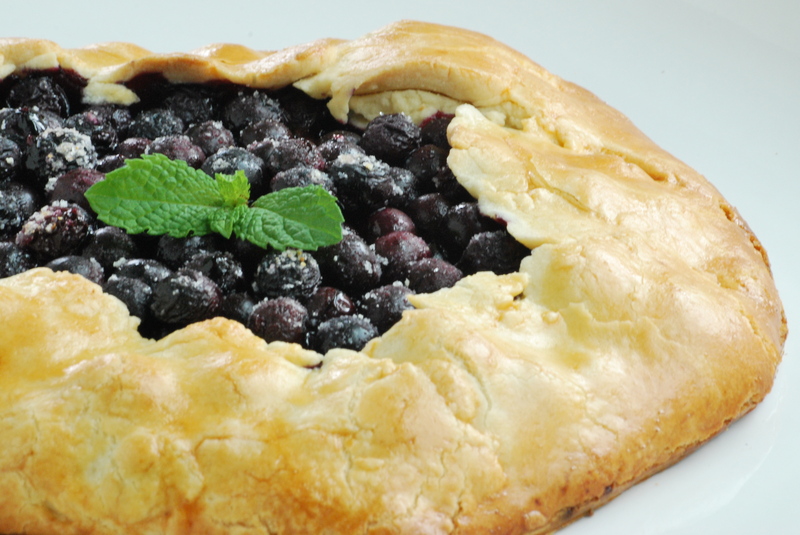 With just a quick thaw you can pull this fruit galette together whenever you like. The trick with the dough is to warm it up a bit if it’s been refrigerated– it’ll be much easier to work with. If you’re making it fresh, just shape it right away. Both methods make a beautiful pastry. And of course (do I sound repetitive?) 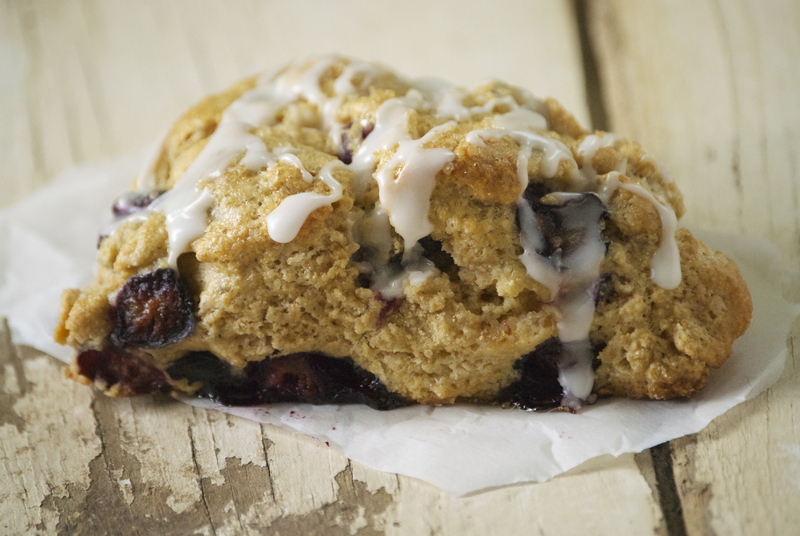 it’s even better with a dollop of freshly whipped cream or ice cream. I think I may go and make another one today…. Put the flour, confectioners’ sugar, and salt into a food processor. Pulse a few times to mix. 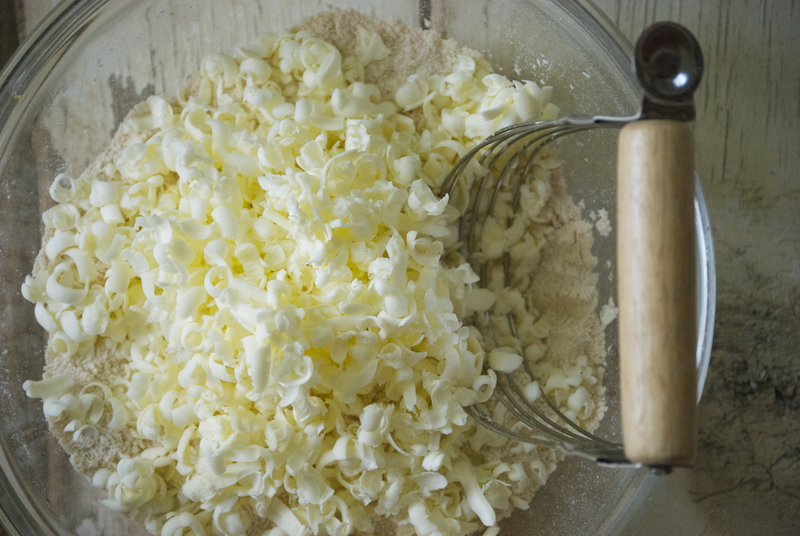 Scatter the butter on top of the dry ingredients and pulse until the mixture is course. Some pieces will be bigger than others. Stir the yolk in a small bowl and add a little at a time, pulsing after each addition. When the egg is completely in, process in longer pulses of 10 seconds each – until the dough, which should look granular soon after the egg is added, forms clumps and curds. Just before your reach this stage, the sound of the machine will change a bit. 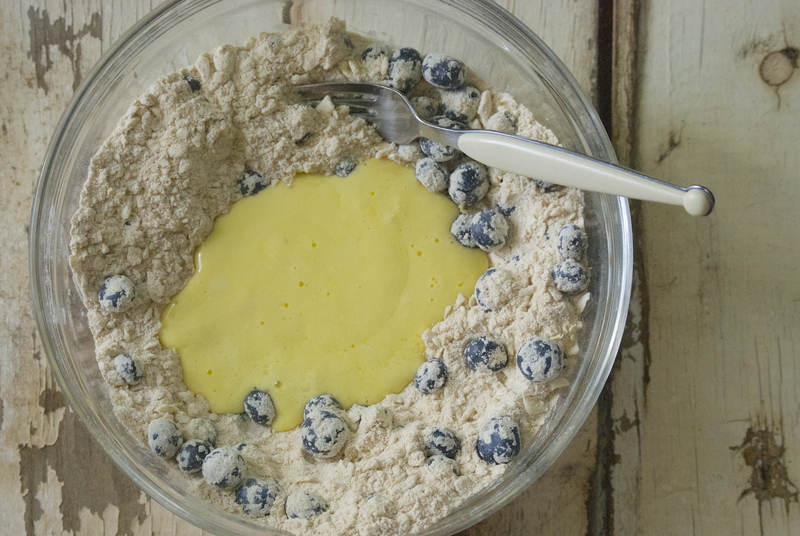 Turn the dough out onto a work surface and, very lightly and sparingly, knead the dough just to incorporate any dry ingredients that may have escaped mixing. Preheat the oven for 375°F. Put rack in center of oven. On a large piece of parchment paper that is big enough to fit onto your baking sheet, roll out the dough into a large circle, until it reaches 12-inches in diameter. 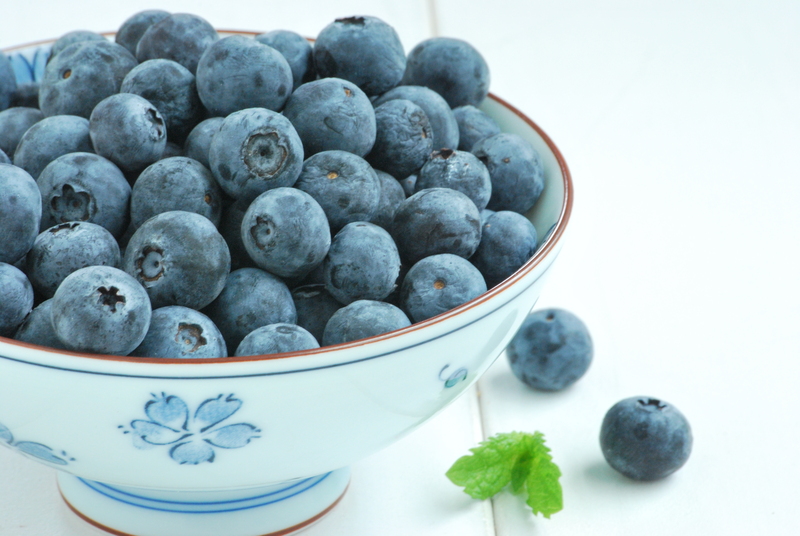 In a bowl, mix the blueberries with the sugar. Place in the center of the dough. 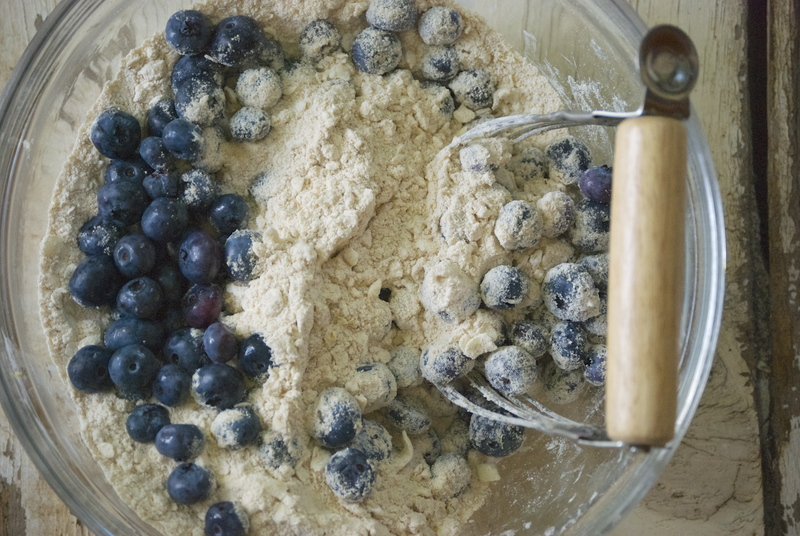 Carefully fold the dough on top of the blueberries. Making sure that most of the blueberries are visible. 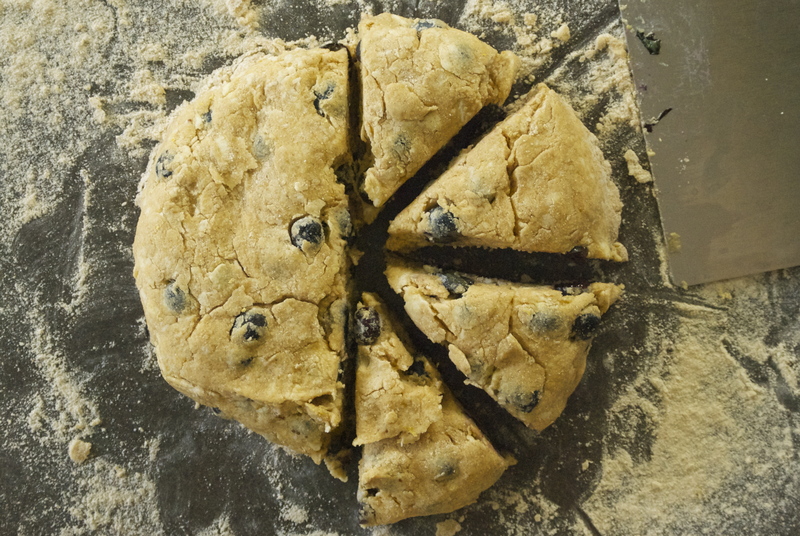 If any of the dough cracks or separates, just pinch it together with your fingers. Transfer the galette, still on the parchment paper, to a large baking sheet. Place the galette in freezer for 10-15 minutes. Remove galette from freezer. Whisk the egg in a bowl, and using a pastry brush, apply the egg wash to the sides of the galette. 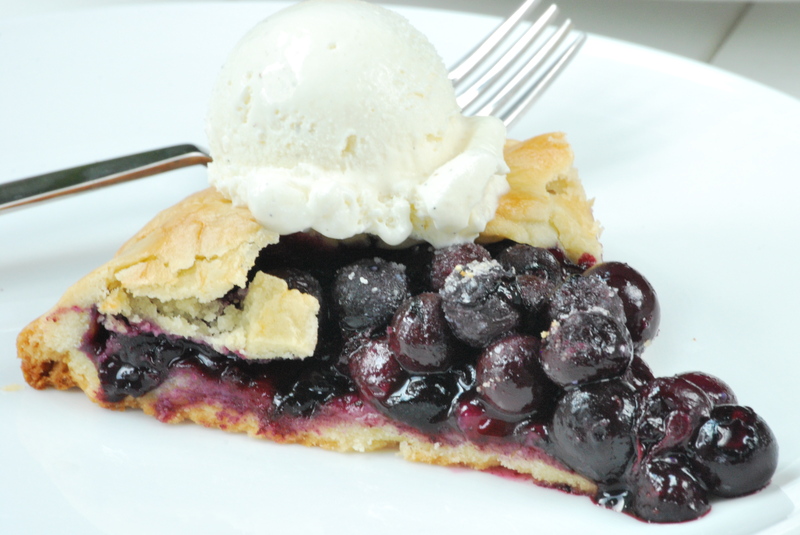 Place into oven and bake for 35 minutes, or until the crust is golden brown and the blueberries are bubbling. Let cool until just warm before serving. Enjoy! Thanks for stopping by Relishing It today — hope you enjoy the galette!